We are officially in the dog days of summer. It’s hot, it’s sticky, and the last thing you want to do is turn on the oven or even the stove to cook a meal. Luckily, fresh produce is in abundance this time of year. Gardens are overflowing with fresh goodies and the markets are packed with some of the best fruits and vegetables you can find. 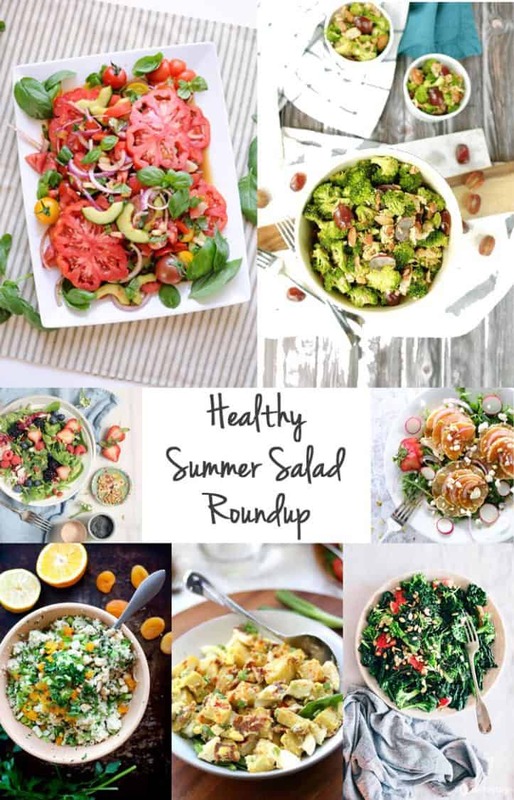 So instead of heating up the kitchen, turn to one of these cool, fresh, unique and healthy summer salad recipes for your next healthy meal. 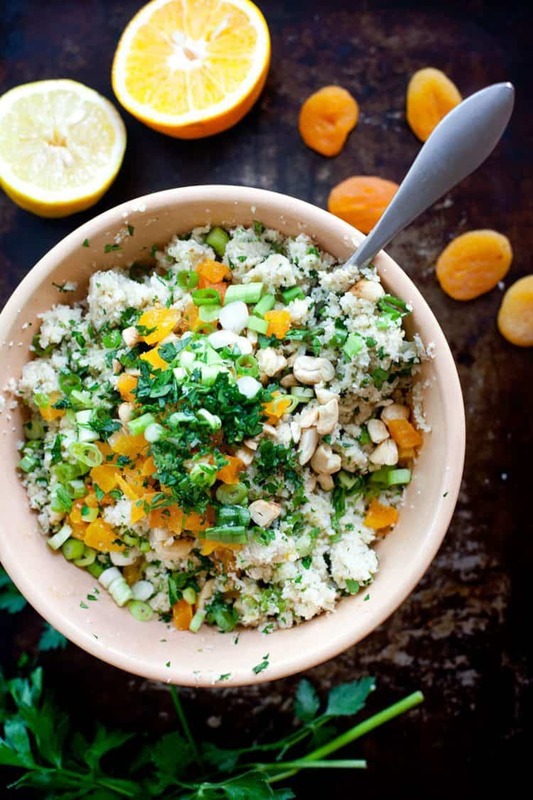 We use a lot of cauliflower “rice” in a lot of our meals, but this is a unique take on making a cauliflower “quinoa”. The dressing might be the best part though. Get the recipe here. Not only are avocados super healthy, they are also packed with good fats which will help to prevent you from hitting that afternoon wall. 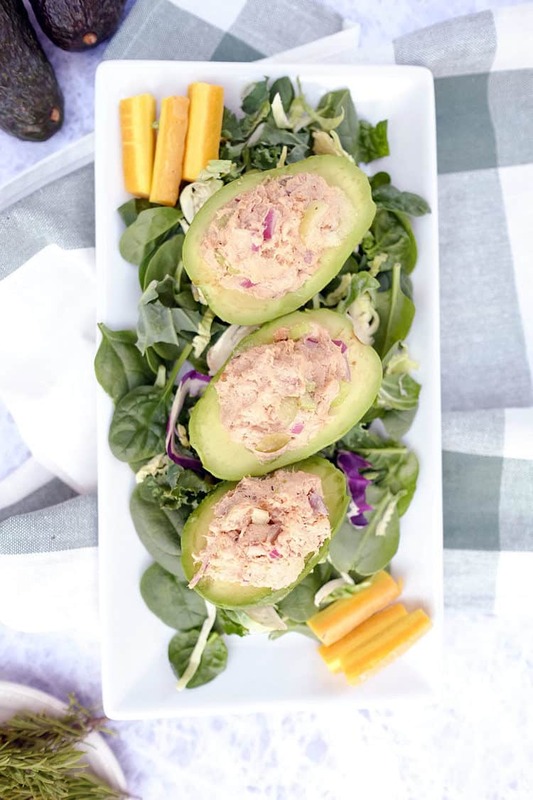 Packed with protein from shredded chicken, these stuffed avocados are a complete meal. Get the recipe here. 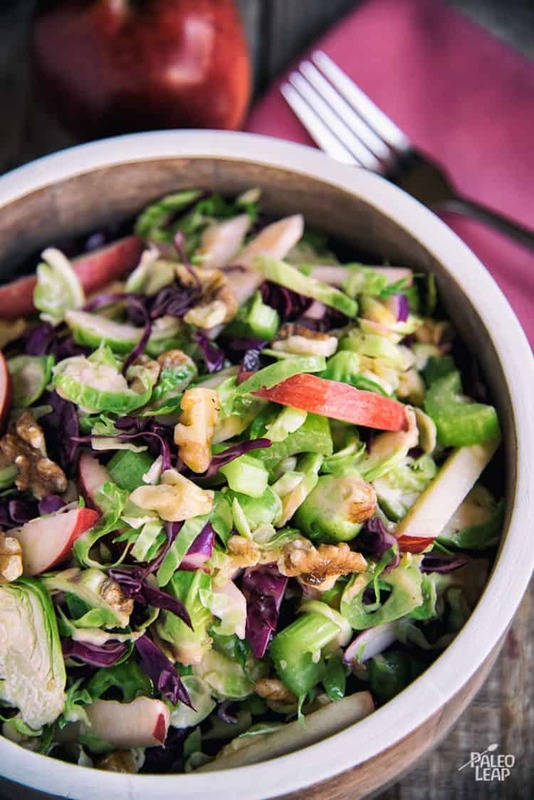 This beautiful salad combines the crunch of raw cabbage and celery with the sweetness of apple slices and shaved brussels. Yum. Get the recipe here. 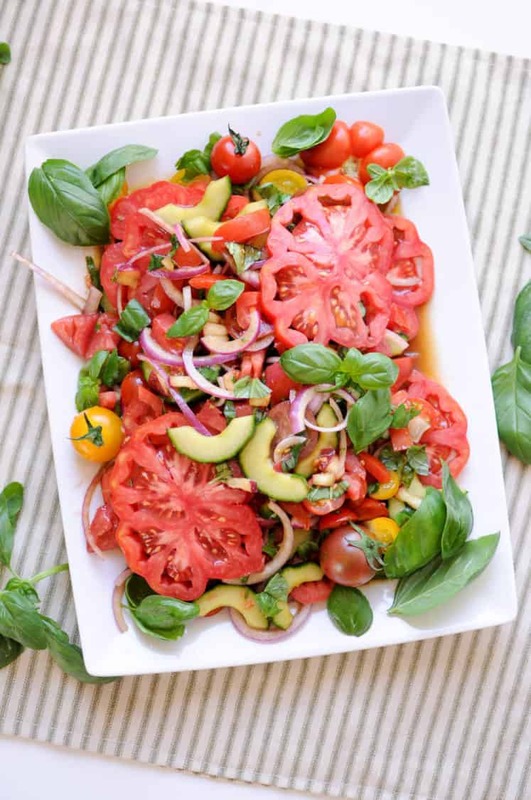 Large slices of heirloom tomatoes are the star of this fresh and vibrant salad. If you have fresh tomatoes in your garden, go make this salad NOW. Get the recipe here. 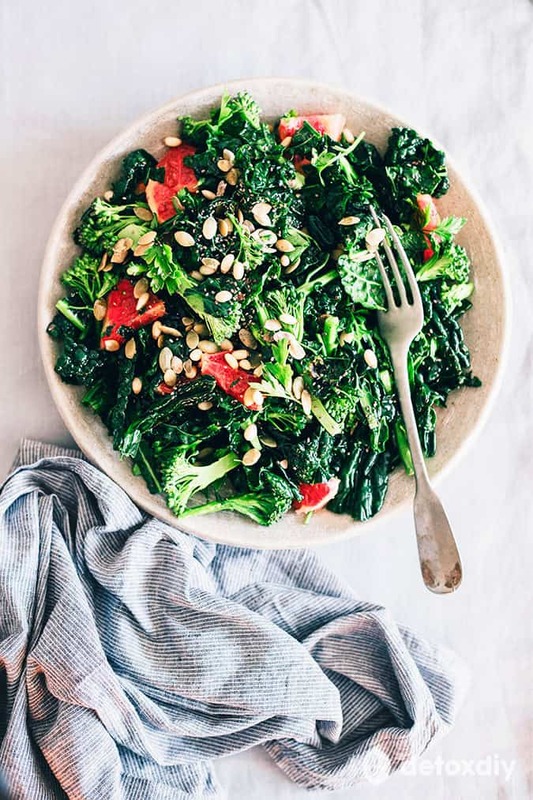 A large dose of kale and broccoli combined with a the tart flavor of grapefruit make this flavor packed salad a must try. Get the recipe here. Who says vegetables have to be the star of the show? 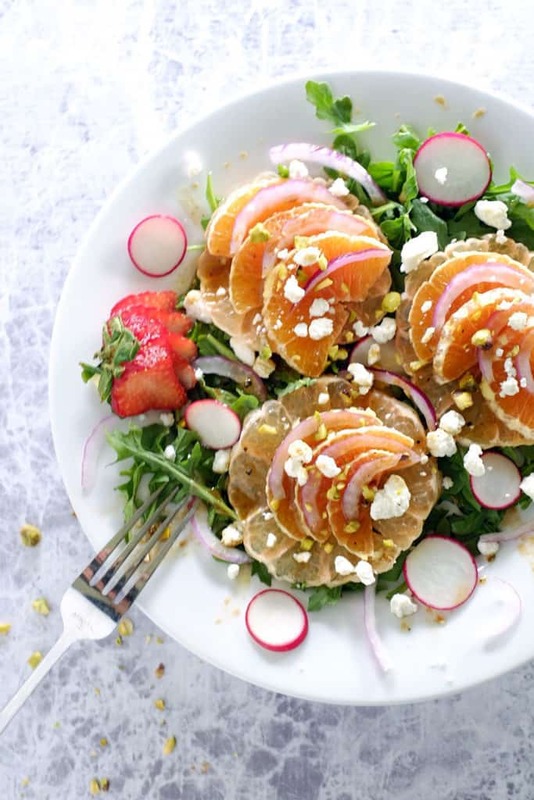 This salad lets those summer citrus flavors shine. Get the recipe here. 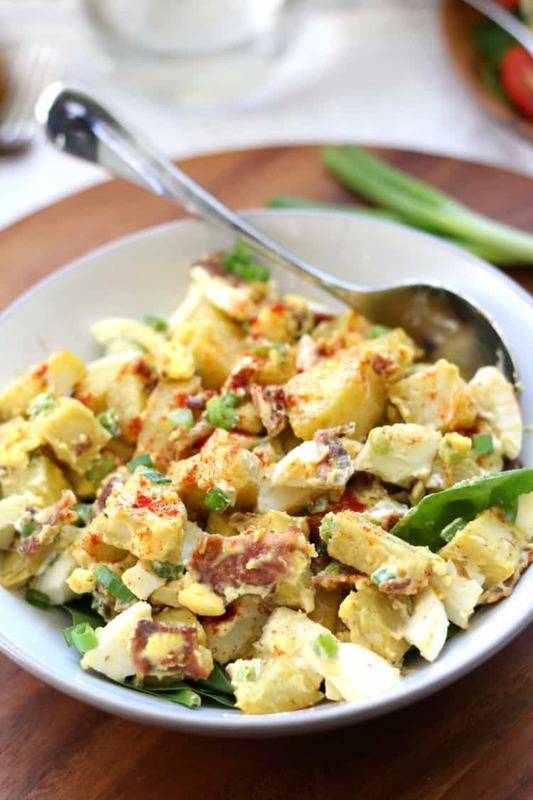 A good potato salad is a staple of summer. This Paleo version uses Japanese sweet potatoes, homemade mayo, and bacon. You had me at bacon. Get the recipe here. 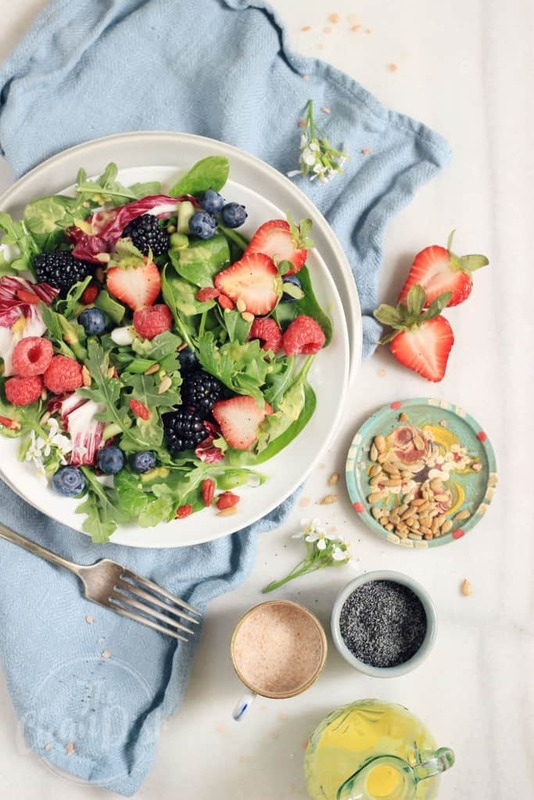 Use any fresh summer berries you have on hand to make this berryriffic salad. Berryriffic is a word right? Get the recipe here. 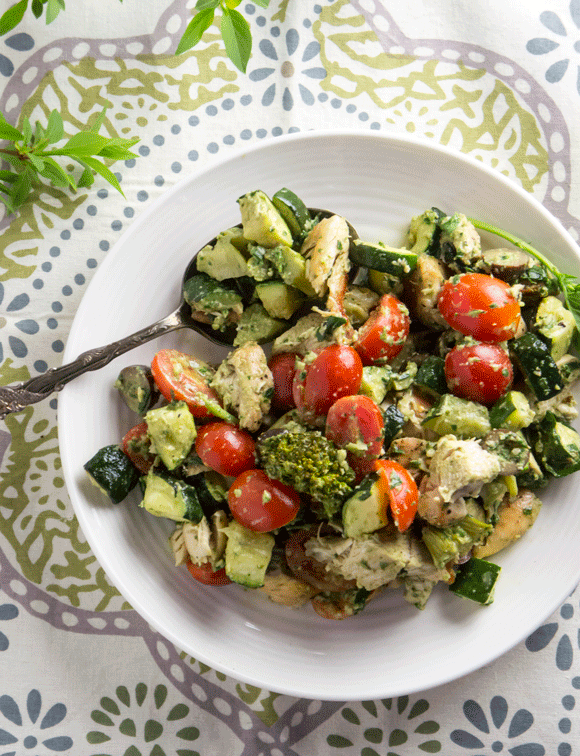 It’s no secret that we love pesto. We could put it on just about anything. Why not use it in a salad? Get the recipe here. Smoky bacon and paprika, crunchy almond slivers and broccoli, creamy mayo, shredded chicken and sweet grapes create a salad full of different flavors and textures. Get the recipe here. WANT TO TRY THESE RECIPES? CLICK HERE TO PIN AND TRY THEM LATER!